Dr. Yaba Blay is a woman I admire on several levels. You know the kind of woman who achieves all the things, inspires others, somehow keeps multiple plates spinning and looks gorgeous and undeniably cool while doing it all? She’s THAT kind of Professional Black Girl. Just by way of introduction, Dr. Yaba Blay is the Dan T. Blue Endowed Chair in Political Science at North Carolina Central University. She has been featured on MSNBC, BET, and NPR, as well as in such notable publications as Oprah Magazine and EBONY. She was a consulting producer for CNN Black in America, a documentary inspired by the scope of her book and digital project, (1)ne Drop: Shifting the Lens on Race. And when she isn’t holding it down as an admired professor on campus, she’s doing everything she can to inspire Black women everywhere. Dr. Blay is out here hosting events, speaking on panels, touring college campuses, and creating her own digital community in celebration of the Professional Black Girl. 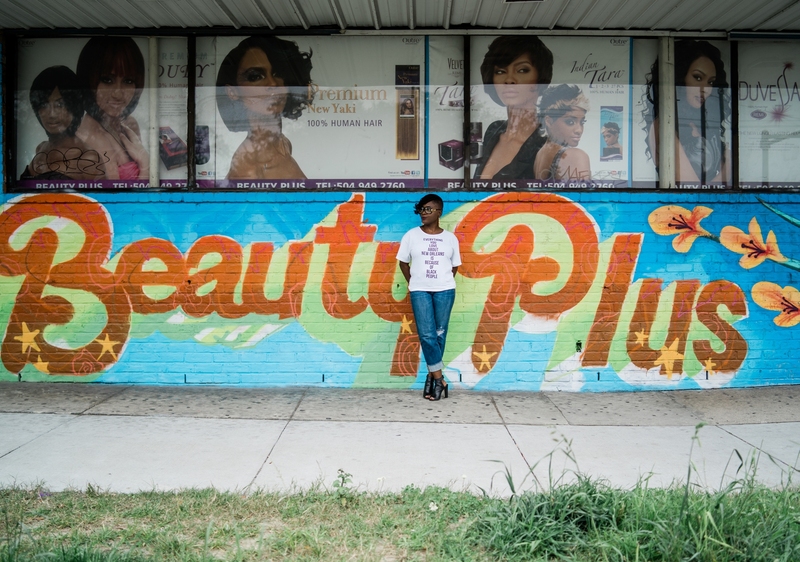 Creating inspiring merchandise and influential hashtags like #PrettyPeriod and #ProfessionalBlackGirl wasn’t enough – Professional Black Girl became an original video series in 2018. Season one kicked in the door with a crowdfunding campaign that brought in $25,000 in just two days – proof that the audience was ready for Dr. Blay to take things to a new level. In her first season, Dr. Blay featured a who’s who of inspiring, notable women including herself, Tarana Burke, Joan Morgan, Kaila Story and more. Now season two takes the series to New Orleans — back home for Dr. Blay — showcasing the city that gave birth to the original Professional Black Girl, as well as some of NOLA’s finest who live and work there to this day. 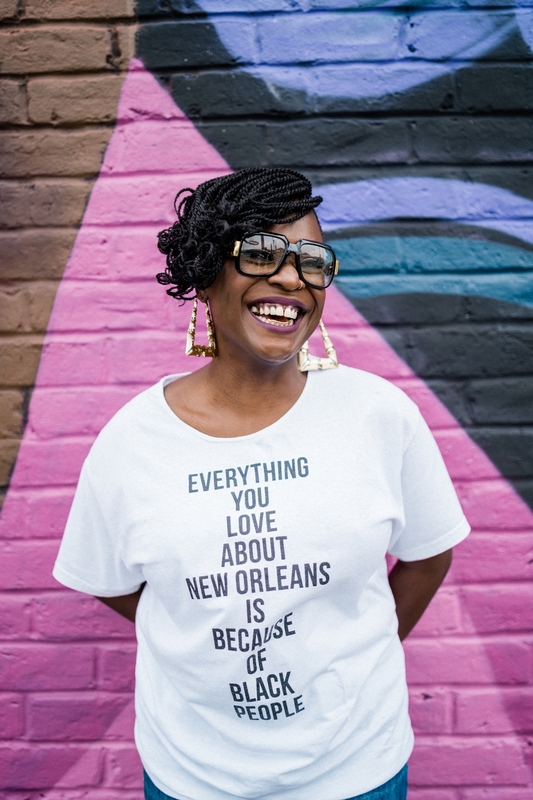 “My intention for the series is simply to give folks a look into what I call “the other New Orleans” by way of the city’s sistas. My hope for PBG in general is that it gives Black women and girls permission, if they need it, to be free – free to be their authentic selves – and that they revel in every opportunity to celebrate themselves and one another. For the second season particularly, I hope that audiences gain a better appreciation for New Orleans, our culture, our identity, and the ways in which Black women work to build and maintain that culture every single day,” says Dr. Blay. 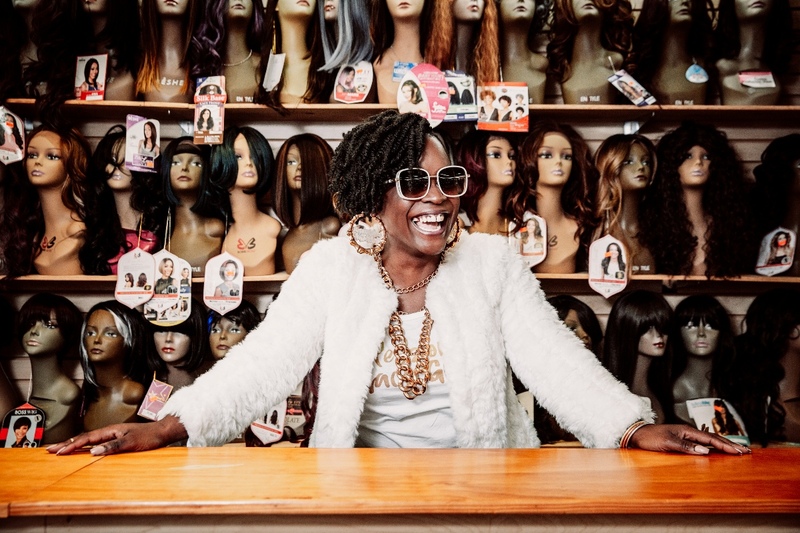 Her NOLA list is full of the kind of women who inspire me just by being themselves – like makeup mogul Wuzzam Supa aka SupaCent, who made her name on social media and now is celebrated for making groundbreaking sales in cosmetics. Upcoming episodes feature curator and filmmaker Shantrelle Lewis, on-air journalist Casey Ferrand; bounce music legend and “Mother of Twerk” Cheeky Blakk; and legendary spoken word artist Sunni Patterson. Episode 1 is already online and features Tarriona “Tank” Ball of Tank and the Bangas (you gotta see their Tiny Desk Concert if you haven’t already)! Each episode can be viewed on Youtube and Facebook through the end of June. Click here to read more about the series at The Root. You can follow #ProfessionalBlackGirl across Facebook, Twitter, and Instagram to celebrate and affirm the everyday excellence of Black women and girls.